100% serviced and ready to drive off of the lot. Shop with confidence when buying from Metro Motors KC. Visit Metro Motors KC online at metromotorskc.com to see more pictures of this vehicle or call us at 816-912-1836 today to schedule your test drive. 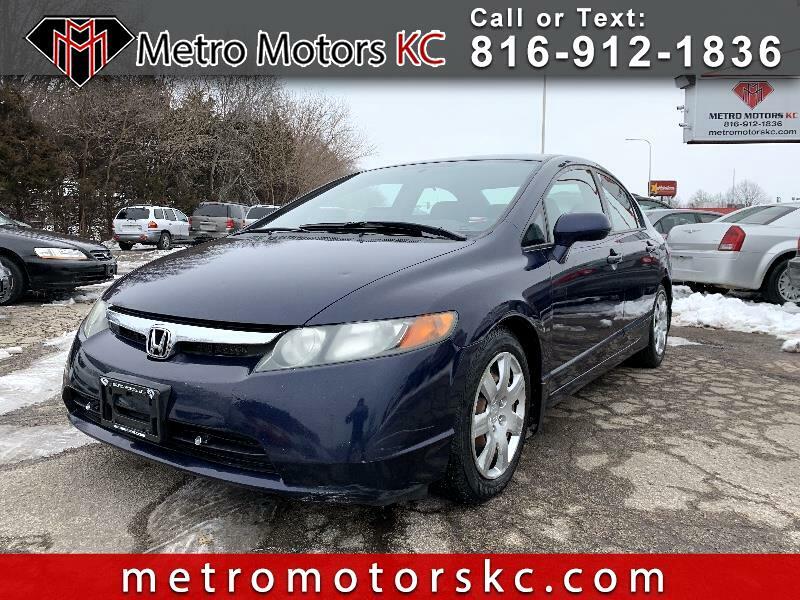 Visit Metro Motors KC online at metromotorskc.com to see more pictures of this vehicle or call us at 816-912-1836 today to schedule your test drive. Message: Thought you might be interested in this 2008 Honda Civic. Prices do not include additional fees and costs of closing, including government fees and taxes, any finance charges, any dealer documentation fees, any emissions testing fees or other fees. All prices, specifications and availability subject to change without notice. Contact dealer for most current information. Prices are valid thru the close of business, today only. Online price is good for cash only. Finance or trade in price may vary in each case.